The weather forecast for our area tomorrow includes the words "bitterly cold." UGH! I'm not looking forward to wind chills of -15 to -30. All this cold weather calls for some hot soup. Nothing hits the spot on a cold day like a steaming bowl of soup. No wonder January is National Soup Month -- it seems every day lately is a great day for a soup day! On a cold, snowy winter day, a little girl and her mother visit the market to buy ingredients for a batch of vegetable soup. When they return home they make the soup together. The little girl helps out by cutting some of the vegetables with a plastic knife, and she decides to add some alphabet pasta to the soup. After a little playtime fun, the little girl happily eats her yummy soup along with her mom and dad. Find your soup pot! Kids will want to help make their own batch of soup after reading this book. The colorful, collage illustrations and cute story perfectly depict the steps involved in preparing a batch of soup. Tailor made for little kids, the steps even involve a little counting, color and shape recognition, and pasta identification. Do you know what Pastina and Farfalle look like? -- You will! 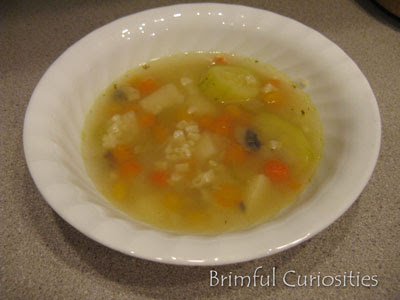 Plus, there's a recipe in the back of the book for the very same "Snowy Day Vegetable Soup" made by the mother and daughter. It's packed full of healthy veggies. There's no better way to get kids to eat their vegetables than having them help with the preparations, and it's fun to create memories in the kitchen by cooking together. All in all, it's a great cooking together book, a perfect read for a cold day. Even if you don't plan to cook a pot of soup on the stove, the heartwarming illustrations of the little girl with her steamy bowl of soup will warm you up! Isn't that a fantastic cover illustration? Of course, we had to try out the soup recipe. Just like in the book, my kids counted and then cut the mushrooms and zucchini with a plastic knife. We even found some alphabet pasta to add to our batch. I like Iwai's suggestion to make the pasta separately. That way the kids can add as much alphabet pasta to their bowls as they want! The recipe is quite tasty (our photo does not do it justice), and we definitely plan to make more soon. The funny thing is that even though my kids cut up the mushrooms and zucchini, those are the two things they didn't want to eat in the soup! They ate everything else, though. Mmmmm ... we love soup day! 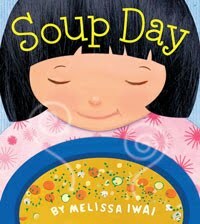 We also made our own Soup Day Collages using the pattern provided on Melissa Iwai's website. My daughter decided she wanted to add some unusual ingredients to her soup including marshmallows and chocolate chips. Not exactly nutritious, but creative! 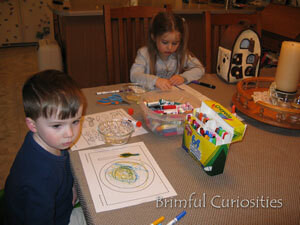 The kids also enjoyed spelling their names with some uncooked alphabet pasta. Later they glued the pasta to their collages. Sorry no finished project pictures...I'm feeling too lazy tonight to remove the pasta names from their pictures using Photoshop! That is so cute! I love that little book! you're making me hungry - great ideas! 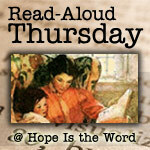 Thanks, as always, for linking up to RAT! This book looks fun, we'll have to find a copy. We love soup in the winter too. The collages were a great idea! I love the idea of reading the book and making the soup from the book together. Then to make a collage for a craft to go along with it-what a fun learning experience!!! I cannot get my kid to eat soup, and now I wonder why I never thought of shaped pasta. It seems so obvious! Thanks for the book suggestion! It is cold here too!! We've been doing a lot of playing grocery store and going grocery shopping. It would be fun to get to go buy all of the ingredients for our soup! Love the craft too. What a great way to get kids involved in the kitchen safely! 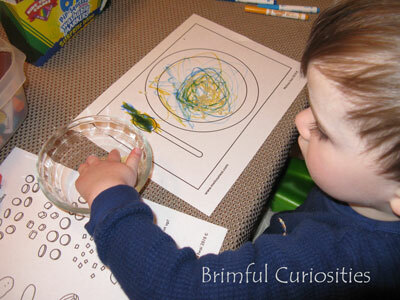 I also like how "soup" went from the kitchen to an art project so kids can interact with it in different ways. This book sounds terrific. I have to look for it.